The Green Girl isn't exactly sure how to say this but she had to say goodbye to her iRiver iFP-795T today. 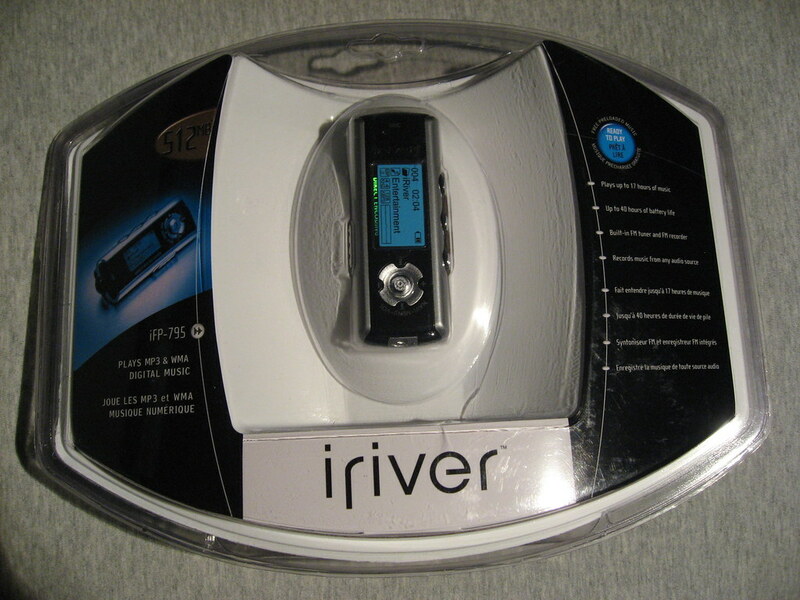 I purchased my first mp3 player, an iRiver iFP-390T back in 2005. My faithful iFP-390T got me from the CoolRunning.com Couch-To-5k program to my very first marathon. When my iFP-390T died, I was devastated, but my friend, Chris, managed to locate an iFP-795T collecting dust in the back of his closet for me. The iFP-795T was manufactured in the same year as the iFP-390T but instead of 256 MB, now I had 512. I was finally able to expand my musical library. Sadly, I had to bid farewell to the iFP-795T tonight. Some things don't change, though, and I'm still a cheap Green Girl so I begged my boyfriend to give me his spare Creative Zen Nano Plus and he agreed. It's going to take some getting used to because I've grown so accustomed to the iRiver players but it will be nice to be able to update the playlist because I haven't been able to add any new songs to my old player for over a year. I'm currently in the process of putting together a running mix for San Francisco Half Marathon. I have a Creative Zne Nano (no the plus) and I LOVE IT!! It does everything I need it to do (play music) and it's small (not much weight). I'm happy with it so far. The armband seems comfortable and I do love how it's so light. I realized after downloading and transferring the songs that you can't sequence the songs so now I'm in the process of prepending two digits to each file name. Heh. I've always worried about running with an armband. I have my little ipod shuffle that just clips on but I'd like to use my bigger one with the strap. Rad Runner Girl, I'm adding a few new songs to the playlist since I haven't been able to change it up in well over a year now. Leah B., I always see runners with the little clip players and it seems so convenient and light. I'm so used to wearing an armband that it doesn't bother me - but then again, I rarely run with music. Haha, I just realized what an old geek I am. Took me a few reads to know/understand you are talking about a mp3 player...! Most people don't believe me, but I don't own one. I haven't run with one for 6 or 7 months and feel better for it. To each his own and I occasionally will pull it out, but no music works for me! Johann, you crack me up. Perhaps the fact that I'm referring to an mp3 player that was manufactured in 2005 has something to do with your confusion, too! Kovas, I will go months without any music and then all of a sudden, I'll feel like throwing some headphones on. This weekend seems to be one of those times.